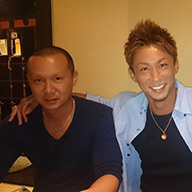 Miyake Geinou Doushikai consists of Akio (father), Kazuhiro (eldest son), Hidenori (middle son) and Haruyoshi (youngest son) Tsumura, all born in Miyake Island. 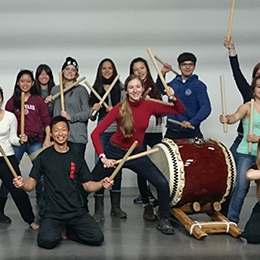 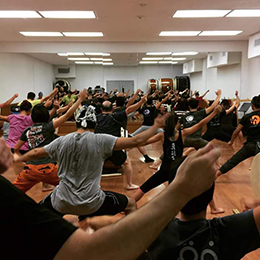 The family holds 14 classes at 11 venues in Tokyo and three other prefectures in addition to workshops across the country. 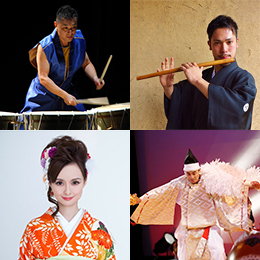 Miyake Geinou Doushikai presents over 50 performances a year both in and out of Japan including the Opening Ceremony of the Tokyo Skytree and performances in Ise Jingu Shrine, Yasukuni Shrine, Zenkoji Temple, Budokan and at Narita Taiko Festival. 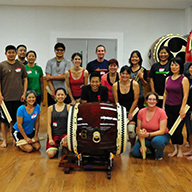 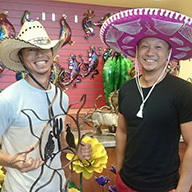 The family also holds drumming classes around twice a year in the US Los Angeles, New York, Boston), Australia, Singapore and Hong Kong. 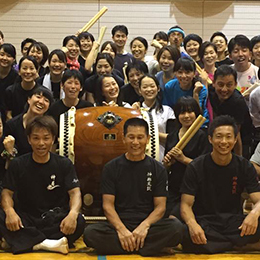 In 1981, Miyake Geinou Doushi kai taught its Miyake piece to Kodo, a professional Taiko drumming troupe. 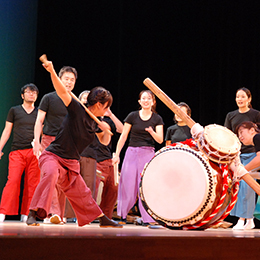 In 2012, the family was introduced in a music textbook of junior high school students (Music for Junior High School Students, published by Kyoiku Geijutsusha). 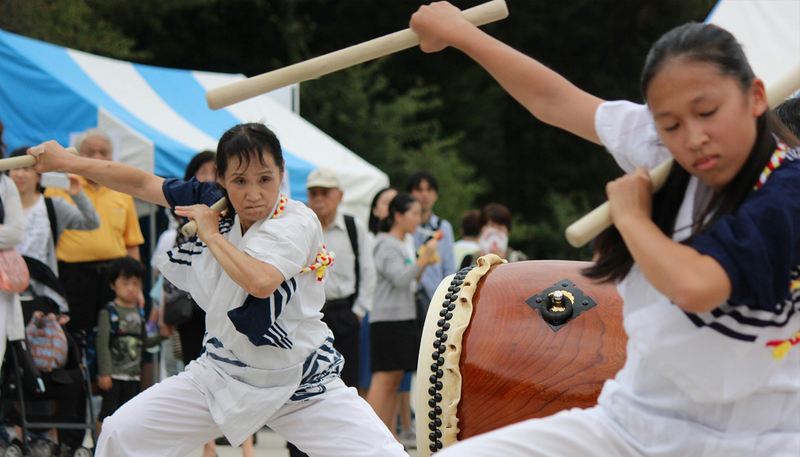 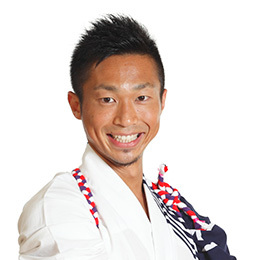 Miyake Geinou Doushikai has an exceptional position in traditional Japanese performing arts. 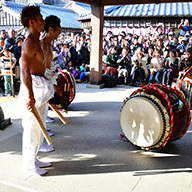 They are the only Taiko drumming group in the world consisting of father and sons. 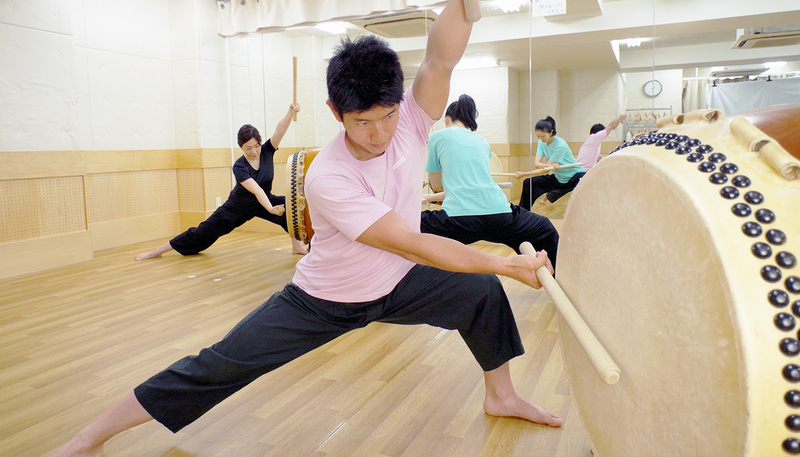 Drumming by Akio, over 60 years old, and his three sons beats into the bodies of the audiences and it still keeps evolving.